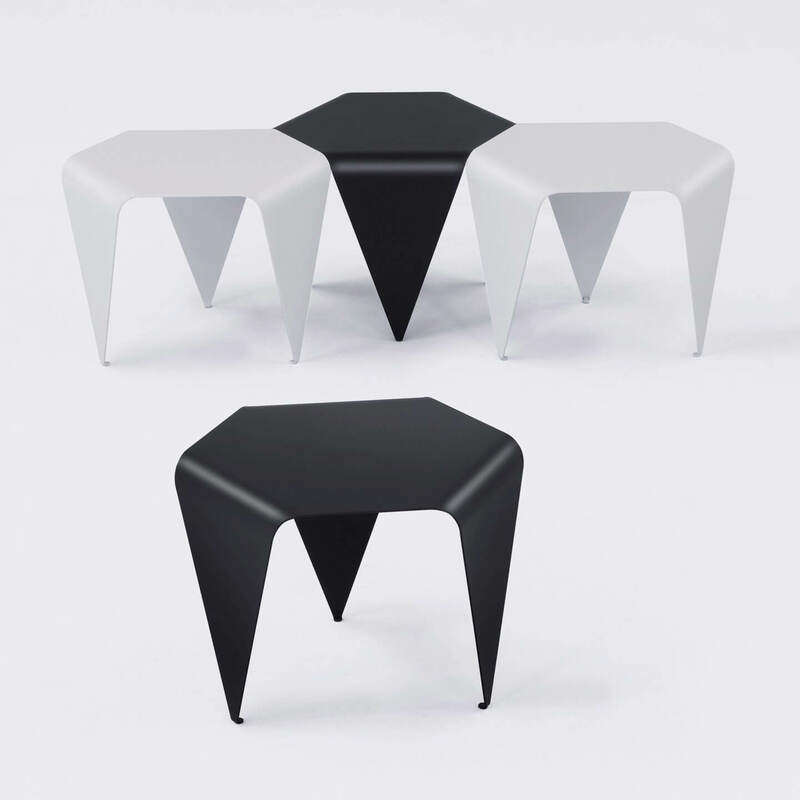 The side table Bee with its geometric shape is a small style highlight. It is made of one single piece of precisely formed sheet metal, colored in black or white. It can be arranged like a honeycomb and offers countless variations.